Taipei ( literally means "North of Taiwan"), officially known as Taipei City (Chinese: ; pinyin: ; Pe?h-oe-ji: ), is the capital city and a special municipality of Taiwan. Situated at the northern tip of Taiwan, Taipei City is an enclave of the municipality of New Taipei. It is about 25 km (16 mi) southwest of the northern port city Keelung. The city is mostly located on the Taipei Basin, an ancient lakebed bounded by the two relatively narrow valleys of the Keelung and Xindian rivers, which join to form the Tamsui River along the citys western border. The city proper is home to an estimated population of 2,693,672 in 2009, forming the core part of the Taipei–Keelung metropolitan area which includes the nearby cities of New Taipei and Keelung with a population of 6,900,273, the 40th most-populous urban area in the world. The term "Taipei" can be either referred to the whole metropolitan area or city proper itself. Taipei is the political, economic, educational, and cultural center of Taiwan, and one of the major hubs of the Chinese-speaking world. Considered to be a global city, Taipei is part of a major high-tech industrial area. Railways, high-speed rail, highways, airports, and bus lines connect Taipei with all parts of the island. The city is served by two airports – Taipei Songshan and Taiwan Taoyuan. Taipei is home to various world-famous architectural or cultural landmarks which include Taipei 101, Chiang Kai-shek Memorial Hall, Dalongdong Baoan Temple, Hsing Tian Kong, Mengjia Longshan Temple, National Palace Museum, Presidential Office Building, Ximending, and several Night markets dispersing over the city. 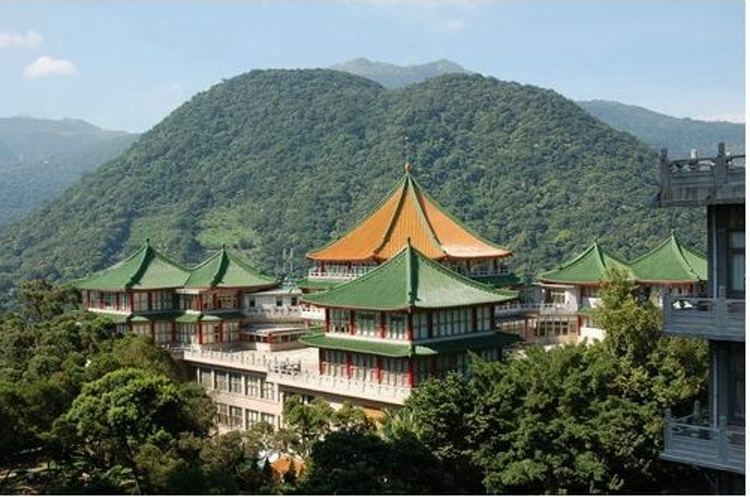 Its natural features such as Maokong, Yangmingshan, and hot springs are also well known to international visitors. In political terms, "Taipei" can occasionally be used as a synecdoche regarding the sovereignty of Taiwan. Due to the ongoing controversy over the political status of Taiwan, a designated name Chinese Taipei is in use officially when Taiwanese governmental representatives or national teams participate in some international organizations (which may required an UN statehood) in order to avoid extensive political effects by using other names. Before the city was founded by Chinese immigrants in the early 18th century, the region of Taipei Basin was mainly inhabited by the indigenous people known as the Ketagalan. Modern Taipei was founded in the early 18th century under the Qing Dynasty rule and rapidly grew in importance due to significant growth of international trades in the 19th century. The Qing dynasty of China made Taipei the capital of Taiwan Province circa 1886 when Taiwan was separated from Fujian Province. Taipei Prefecture was created in 1875 and was formally made provincial capital of Taiwan in 1894. Japan acquired Taiwan in 1895 under the Treaty of Shimonoseki after the First Sino-Japanese War. Taiwan became a colony of Imperial Japan with Taipei as its capital, in which Taipei was administered under Taihoku Prefecture. 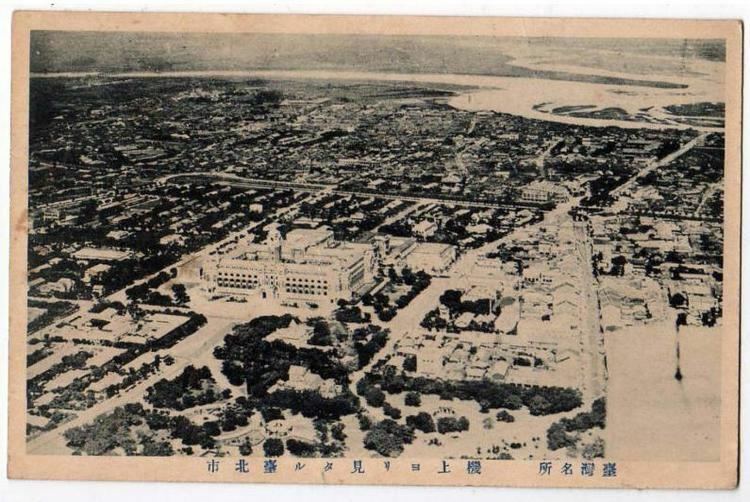 Taiwans Japanese rulers embarked on an extensive program of advanced urban planning that featured extensive railroad links. A number of Taipei landmarks and cultural institutions date from this period. The Republic of China (ROC) took over Taiwan in 1945 following Japanese surrender. After losing mainland China to the Chinese Communist Party in the Chinese Civil War, the ruling Kuomintang (KMT) relocated the ROC government to Taiwan and declared Taipei the provisional capital of the ROC in December 1949. In 1990 Taipei provided the backdrop for the Wild Lily student rallies that moved Taiwanese society from one-party rule to multi-party democracy. The city is today home to Taiwans democratically elected national government. Taipei City is located in the Taipei Basin in northern Taiwan. 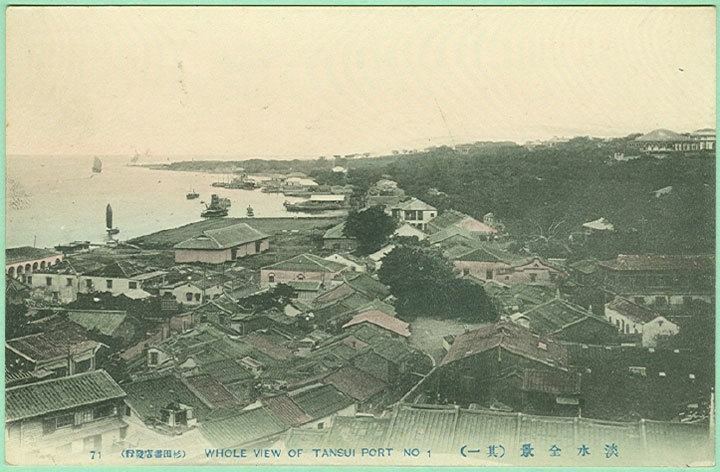 It is bordered by the Xindian River on the south and the Tamsui River on the west. The generally low-lying terrain of the central areas on the western side of the municipality slopes upward to the south and east and especially to the north, where it reaches 1,120 metres (3,675 ft) at Cising Mountain, the highest (inactive) volcano in Taiwan in Yangmingshan National Park. The northern districts of Shilin and Beitou extend north of the Keelung River and are bordered by Yangmingshan National Park. The Taipei city limits cover an area ranked sixteenth of twenty-five among all counties and cities in Taiwan. Two peaks, Cising Mountain and Mt. Datun, rise to the northeast of the city. Cising Mountain is located on the Tatun Volcano Group and the tallest mountain at the rim of the Taipei Basin, with its main peak at 1,120 metres (3,670 ft). Mt. Datuns main peak is 1,092 metres (3,583 ft). These former volcanoes make up the western section of Yangmingshan National Park, extending from Mt. Datun northward to Mt. Caigongkeng (????). Located on a broad saddle between two mountains, the area also contains the marshy Datun Pond. As the center of Taiwans largest conurbation, Taipei has been at the center of rapid economic development in the country and has now become one of the global cities in the production of high technology and its components. This is part of the so-called Taiwan Miracle which has seen dramatic growth in the city following foreign direct investment in the 1960s. Taiwan is now a creditor economy, holding one of the worlds largest foreign exchange reserves of over US$403 billion as of December 2012. Tourism is a major part of Taipeis economy. In 2013, over 6.3 million overseas visitors visited Taipei, making the city the 15th most visited globally. The influx of visitors contributed $10.8 billion USD to the citys economy in 2013, the 9th highest in the world and the most of any city in Greater China. The National Chiang Kai-shek Memorial Hall is a famous monument, landmark and tourist attraction that was erected in memory of General Chiang Kai-shek, former President of the Republic of China. The structure stands at the east end of Memorial Hall Square, site of the National Concert Hall and National Theater and their adjacent parks as well as the memorial. The landmarks of Liberty Square stand within sight of Taiwans Presidential Building in Taipeis Zhongzheng District. The National Taiwan Museum sits nearby in what is now 228 Peace Memorial Park and has worn its present name since 1999. The museum is Taiwans oldest, founded on October 24, 1908 by Taiwans Japanese colonial government (1895-1945) as the Taiwan Governors Museum. It was launched with a collection of 10,000 items to celebrate the opening of the islands North-South Railway. In 1915 a new museum building opened its doors in what is now 228 Peace Memorial Park. This structure and the adjacent Governors residence (now Presidential Office Building, served as the two most recognizable public buildings in Taiwan during its period of Japanese rule. The National Palace Museum is a vast art gallery and museum built around a permanent collection centered on ancient Chinese artifacts. It should not be confused with the Palace Museum in Beijing (which it is named after); both institutions trace their origins to the same institution. The collections were divided in the 1940s as a result of the Chinese Civil War. The National Palace Museum in Taipei now boasts a truly international collection while housing one of the worlds largest collections of artifacts from ancient China. The strikingly designed Shung Ye Museum of Formosan Aborigines stands just 200 metres across the road from the National Palace Museum. The museum offers magnificent displays of art and historical items by Taiwanese aborigines along with a range of multimedia displays. The National Sun Yat-sen Memorial Hall near Taipei 101 in Xinyi District is named in honor of a founding father of the Republic of China, Sun Yat-sen. The hall, completed on May 16, 1972. originally featured exhibits that depicted revolutionary events in China at the end of the Qing Dynasty. Today it functions as multi-purpose social, educational, concert and cultural center for Taiwans citizens. In 2001 a new museum opened as MoCA Taipei or Museum of Contemporary Art Taipei (???????). The museum is housed in a building that formerly housed Taipei City government offices. Taipei 101 is a 101-floor landmark skyscraper that claimed the title of worlds tallest building when it opened in 2004, a title it held for six years before relinquishing it to the Burj Khalifa in Dubai. Designed by C.Y. Lee & Partners and constructed by KTRT Joint Venture, Taipei 101 measures 509 m (1,670 ft) from ground to top, making it the first skyscraper in the world to break the half-kilometer mark in height. Built to withstand typhoon winds and earthquake tremors, its design incorporates many engineering innovations and has won numerous international awards. Taipei 101 remains one of the tallest skyscrapers in the world and holds LEEDs certification as the worlds largest "green" building. Its shopping mall and its indoor and outdoor observatories draw visitors from all over the world. Taipei 101s New Years Eve fireworks display is a regular feature of international broadcasts. The National Theater and Concert Hall stand at Taipeis Liberty Square and host events by foreign and domestic performers. Other leading concert venues include Zhongshan Hall at Ximen and the Sun Yat-sen Memorial Hall near Taipei 101. The newly developed Xinyi District is popular with tourists and locals alike for its many entertainment and shopping venues, as well as being the home of Taipei 101, a prime tourist attraction. Malls in the area include the sprawling Shin Kong Mitsukoshi complex, Taipei 101 mall, Eslite Bookstores flagship store (which includes a boutique mall), The Living Mall, ATT shopping mall, and the Vieshow Cinemas (formerly known as Warner Village). The Xinyi district also serves as the center of Taipeis active nightlife, with several popular lounge bars and nightclubs concentrated in a relatively small area around the Neo19, ATT 4 FUN and Taipei 101 buildings. Lounge bars such as Barcode and Nightclubs such as Spark and Myst are among the most-visited places here. Taipei is rich in beautiful, ornate temples housing Buddhist, Taoist, and Chinese folk religion deities. The Longshan Temple, built in 1738 and located in the Wanhua District, demonstrates an example of architecture with southern Chinese influences commonly seen on older buildings in Taiwan. When New Years Eve arrives on the solar calendar, thousands of people converge on Taipeis Xinyi District for parades, outdoor concerts by popular artists, street shows, round-the clock nightlife. The high point is of course the countdown to midnight, when Taipei 101 assumes the role of the worlds largest fireworks platform. The Taipei Lantern Festival concludes the Lunar New Year holiday. 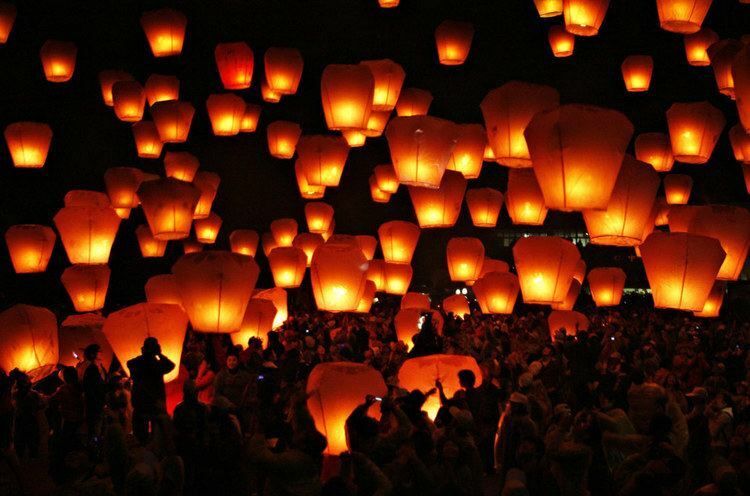 The timing of the citys lantern exhibit coincides with the national festival in Pingxi, when thousands of fire lanterns are released into the sky. The citys lantern exhibit rotates among different downtown locales from year to year, including Liberty Square, Taipei 101, and Zhongshan Hall in Ximending. Taipei regularly hosts its share of international events. The city recently hosted the 2009 Summer Deaflympics. This event was followed by the Taipei International Flora Exposition, a garden festival hosted from November 2010 to April 2011. The Floral Expo was the first of its kind to take place in Taiwan and only the seventh hosted in Asia; the expo admitted 110,000 visitors on February 27, 2011.